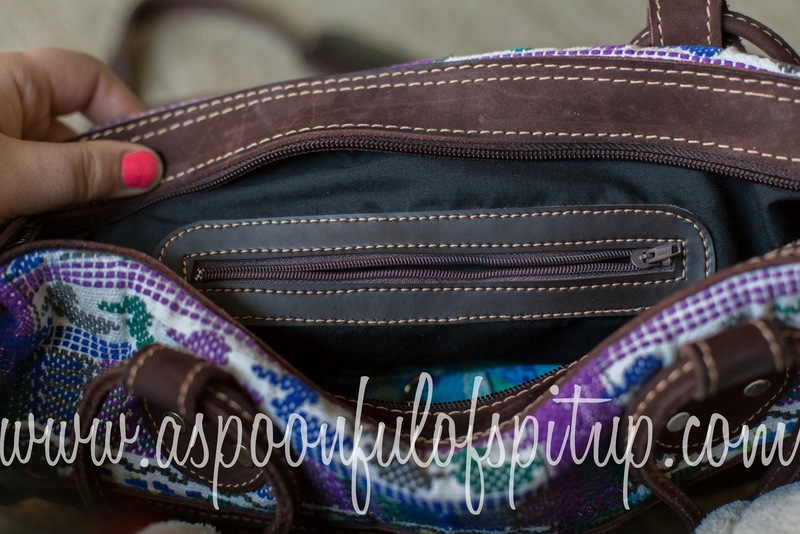 A Spoonful of Spit Up: Sugarzuly Crossbody Tote Review and Giveaway! I'm SO RIDICULOUSLY EXCITED to tell you guys about this giveaway! ...I know I say that every time, but gift giving is how I show love. So of course it makes me excited! First, let's talk about Sugarzuly, which is an awesome company! It is a family-owned business, created by two Guatemalan sisters. 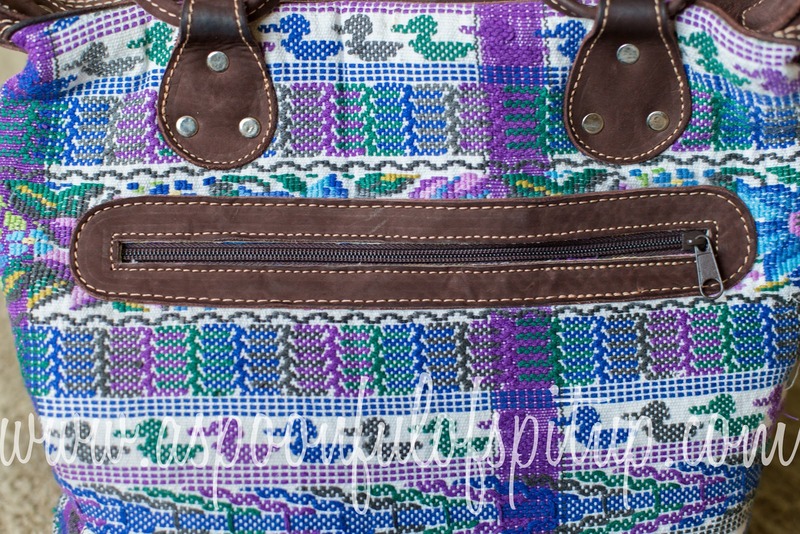 Their products are inspired by their culture, family roots, and diverse style, and their mission is to make high-quality, handcrafted products while giving back to their communities in Guatemala and in the United States. The Sugarzuly products are made from 100% handwoven, recycled huipil (wee-peel), which is the woven fabric worn by the Maya women. 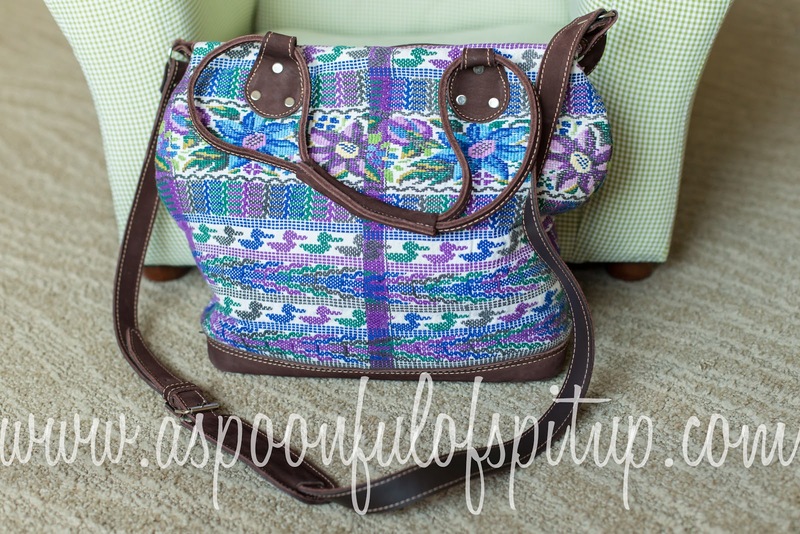 It is handmade by Maya women from different villages, their family members in Guatemala, and some are made in the United States. Each bag is different, and they are all beautiful! The bag they sent me is perfect...it has lots of purple in it, which is my favorite color! I even have purple shoes that match my bag, of course. I received my tote right before I went on my shopping spree with my mommerkins, so I got to take it! Yay! 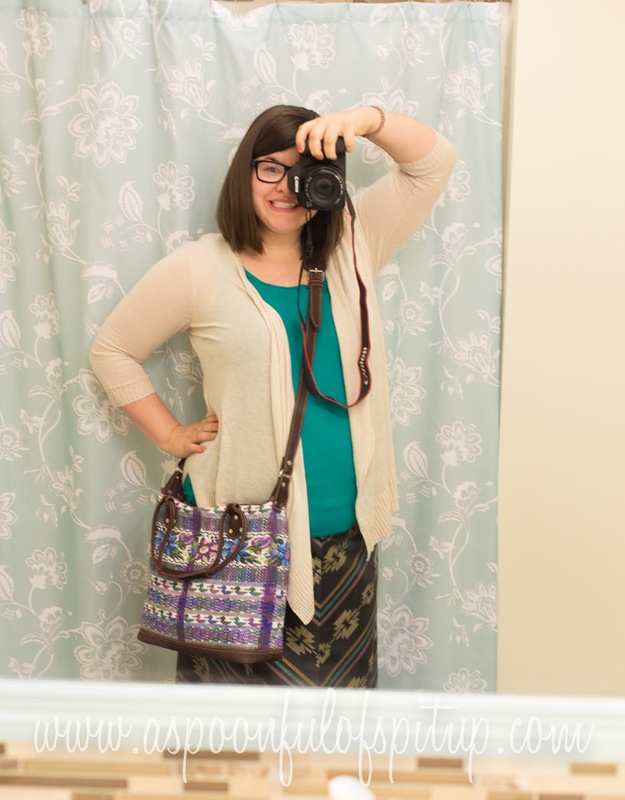 It's a crossbody tote, which, as we learned in my diaper bag post, is my favorite. I love being hands free! The tote measures 15" wide by 13" tall, and it has a long leather strap that is adjustable. 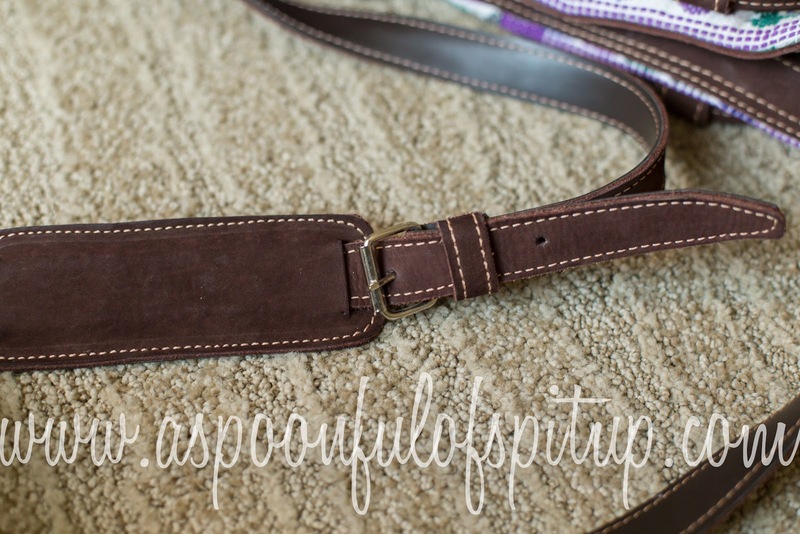 There are also leather handles if you want to use them instead of the long strap. Also, this leather smells GOOD. Like rich mahogany. ...just kidding, it just smells like leather. But like really good leather, trust me. The bottom of the bag is leather with little metal feet so it doesn't get nasty when you put it on the bathroom floor. ...am I the only one who does that? If it makes you feel any better, I only do that when there isn't a hook on the door! That probably doesn't make you feel any better. Sorry. There's a zipper pocket on the outside of the bag, and another one on the inside. ...ignore my awful nail polish. It chipped literally twelve hours after I put it on. Which is very frustrating. The bag is big enough to fit a diaper, wipes, sippy cup, and my things if I want to take it with me instead of my diaper bag. But it isn't so big that it feels like I'm carrying a duffel bag, which is nice! Hey look! There's my haircut, pre-color! Ta da! And also it's not fixed or anything because it's morning. Get over it. And now you have the chance to win one of these amazing bags! It won't look exactly the same as mine, but the size will be the same. The giveaway is open to residents of the United States ages 18 and up. Use the Rafflecopter widget below to enter! And remember to make sure and do the options before you confirm your entries! You can enter starting today (April 25) until 11:59 PM on April 29! 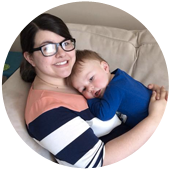 Remember to vote for my blog by clicking the banner below! But remember, voting won't count as an entry for the giveaway. Hopefully you'll do it anyway. I believe in you! Disclaimer: I have not been paid for my opinions about Sugarzuly bags. They really are as beautiful as I say they are! super cute hair! cute bag! cute you! also: before you said that thing about the nail polish, i was going to exclaim about how great it was. i love neon lately. the end! YOU'RE cute!! I love this nail polish color, but it's so chippy and yucky! Blech. Neon is the best! THE END!